A huge part of the tone/voice of this blog was first articulated when I started talking to my kids about how I thought they should try to look at the world. Actually, the photo of Isabel with her arms up is probably the photo that began The Sartorialist (in my mind, at least). It?s everything I want to capture, joy, style and humor. What?s more, my dad loves that photo, which means the world to me. For these reasons, I?m so happy to announce that I will be doing a page for Cookie Magazine, called The Sartorialist Jr. Which will basically be what I already do, but with parents and kids in mind. The whole thing came about quite naturally: when I was in Europe during the shows, I kept seeing all these really cute kids dressed in a way I didn’t see, here in the US. I wanted to take their pictures and bring them back to show my kids and beg them to let me dress them that way. I realize I’m not that different from other parents, so I thought it would make for a good page in an appropriate setting. I immediately thought of Cookie: it?s hip, cool, funny and not over-edgy. To me, it is the best kids magazine out there. The first issue with my page should be out any day now. ps I swear I didn’t tell Claudia to stand that way, some kids are just born with the pose gene. I am so loving that spaghetti sauce red. Love the red tennies. No wonder your pictures show a love and respect for women – you’ve got at least 2 really great female influences! Oh, and your daughter is adorable! Isabel and Claudia are perfect. Adorable! This had made me even more broody than usual – can’t wait to see the issue. this is really awesome and exciting! Honestly – you are incredible & inspirational, you never fail to surprise me! Those kids are adorable – congrats, congrats, congrats on them and on your latest success. I am wearing red Converse today, but without a shred of the rock n roll attitude your gorgeous little thing is exuding. Love your comments too about parenting – its so hard to know the best way to go (stay at home vs daycare etc) and its something that I think about constantly for when I have children. You’ve given that debate a very fresh perspective and shown that it can be done in a big city. This post was amazing and much needed on this Friday. Scott, every morning when I arrive at my workplace, the first thing I do, besides getting coffee and checking e-mails, is to look up your website. This time I found your beautiful special on cookiemag.com and it gave me a completely new, deeper perspective on you and your blog and I thank you for that! Those are some beautiful pics and I’m sure your daughter will soon hit the tents! It just shows me (us) once again what a fantastic photographer you are! From a lurker and mother of two young boys who watch “Cars” daily…”Bellissimo”! there is nothing sexier than a man who takes responsibility for his family. Being Scandinavian I thought our men were more or less alone in this world in taking time to be with their children – I am so very happy to see that I was wrong! And these children are adorable. Great attitude! What a great thing. As a Dad who stayed at home with his kids, I can appreciate the “most rewarding, most trying time” comment. Another great product from the Sartorialist. Your kids are very cute. Isabel and Claudia are twins? Pardon me if that’s an obvious point to all others. …(click Trends then Child) the other day, I softened a bit. While they’re not dolls and I’d never want to impose my tastes on them, it’s nice to be “fancy shmancy” every now and again. I’ll look for the mag up here in Canada next month! those are the cutest kids i’ve ever seen. you are one lucky man! what a GORGEOUS family you have! and i love your daughter’s little red sneakers! this brought a smile to my face. thank you. this is brilliant in every regard, from the project to your parenting. I, too was a SAHD and really dug it. Putting your heart into it is the key, right — the difference between parenting and babysitting? Now, more important things: yes on print scarves, no on winter white. GQ runs a “mistakes of the past” column periodically, or something along those lines, and white shoes and winter white pants will show up there… on the other hand, white suits, two thumbs up. Seriously? This just made my day! Your kids are beautiful, and Claudia’s outfit (that scarf! those shoes!) rocks. Congratulations Sart! I think im not the first one who thinks that you should take pics of kids in streets, even here in NY I have seen some kids dressed really hip and cool like Claudia, shes so cute oh my god! I believe about the pose, its true. that little girl is friggin adorable! and such fashion sense. she’s going to be serious fashion competition when she gets older. Congratulations!! it’s amazing what you’re doing!! keep going on! That little girl in the second photo more fashionable that most fashionistas! What a superb shot and GREAT outfit. Would love to know what her mother was wearing having created such an ensemble for her child!!!! i don’t have kids (yet) but i can totally understand the desire to dress them in a special way that reflects your/our relationship with style and fashion. and i can’t wait for this project. Love your new page!! Just because you have kids, doesn’t mean that you have to enter the world of disney and dora plastered all over every article of clothing your kids wear. But you can’t expect them to wear designer dresses and jeans and not expect them to play and get a bit dirty too! Your children are part of who you are and that includes your sense of style! “How old are you?” What a flattering question! Checked out the link and the pictures are a delight. You are a very lucky, and probably very proud, father. Oh my gosh! Congratulations! This is so fun and DARLING! Is that your wife in the cover photo? This was one of the most moving posts for me. Being a dad who also took some time off and found the whole experience so rewarding and very life changing, I can appreciate where the love and joy you speak of comes from. Plus I like that you want the kids to have a sense of personal style that in unique and individual. Thank god – one more reason to buy the mag (don’t need incentives to visits your site – it is brilliant). It is daunting at best to dress my boys in something other than a Gap advert. Maybe with your photos in Cookie, I’ll have a chance to show them that individuality is something to aspire to at all levels. If not, there is bound to be inspiration galore for mummy. After enjoying your blog for awhile now I am moved to comment. I must say that I think some care ought to be taken in imposing some of the more unfortunate values associated with fashion (rampant consumption and shopping as an emotional fix come to mind)upon our children. I haven’t read Cookie magazine but I hope there is some conscientiousness about this. Keep up the excellent work Sartorialist! I LOVE your blog and check it out every day. I am a mom of two (5YO boy and 8YO girl). I think it would be very interesting to see fashionable kids from all over the world. I am excited to check out Cookie Magazine for your pics. I do wish you would throw in some kid pics in your blog too. I usually dont comment here, but when I saw Claudia I thought “He -must- have instructed her to pose that way.”. Continued reading, and was stunned! Those pictures are soo precious! I love them- fun, vibrant. You definitely know how to capture and display sensitivity. It is such a great idea! I don’t even have kids, but I might pick up the magazine just to see what kind of shots you get. Ooh, this is fantastic…I personally love the way children dress, you know, when they feel like hot stuff because of their pink sparkly gogo boots or whatever concoction they put together…By the way, I love your blog, I visit it everyday. You are so right on so many points. I think parents are losing sight of raising their own children and focusing on their careers. Kids are so much more stylish in and innocent way in Europe too. I think kids in the US dress like little adults. kind of distasteful to me. I love that parents are now more aware of how their personal aesthetics can affect their children. I remember being extremely conscious of my own strange, mismatched clothing as a child, and though I think confidence can be won in a variety of ways, good style is a great avenue towards self-actualization. Your children are lovely and I’m sure they are similarly enriched in many areas of thier lives! Ispired by your blog, I had this very same idea a few months ago. I was going to call mine the sartorialtot. are they both your daughters? Congratulations on your beautiful children..you are truly blessed. I Just went on the Cookie website and saw the complete spread. Your girls are amazing! I can’t wait to steal my friends’ Cookie and see your work there! i’ve always had some style, but lately i’ve taken a much greater interest in menswear. and i credit my four-year-old daughter, who loves to help me get dressed in the morning. (she also dresses her younger brother, when given the chance.) the pure delight that she takes, for example, in men’s ties, opened my eyes to a whole world that i failing to enjoy as much (and as easily) as i should. kid style should be as much about the kids dressing themselves as it is about parents trying looks on them. both things are good, of course, but the four-year-old can combine colors and patterns in very unexpected and good ways. LOVE IT! What a great idea, and you’ve done a beautiful job! And it’s wonderful to hear another parent take parenting seriously… it’s easy to ignore your kids, even if you stay at home with them… sounds like you have your priorities straight. raising your kids is the BEST. :) the girls and pictures are awesome – good job! If you have your father’s love from birth it becomes, unbeknownst to you, a reservoir of strength, wisdom, and support. Something so profound and nurturing that it sustains you long after your Father passes from this earthly realm. When you don’t have it, you spend the rest of your life seeking a substitute. With this gift of your love,you are giving your children something that is greater then anything else you will give them. Your love shows in the smiling faces of your children. Kudos to you Sart, you’re a gentleman in the truest sense of the word. Very inspiring…your daughters are simply beautiful just like you, inspiring and fashionable! My eleven year old daughter and I are such fans of yours. She loves to see your photos: men, women, old, new, shiny, or blue. And now… fashion photos of chidren. It couldn’t be more perfect. Thanks. What spirit on those faces, those kids know they’re loved! Bravo~! However…. gotta offer a contrary bit of opinion here, mon chere… and bear in mind, I’m not suggesting by the following remarks that you do any differently than what suits you (and _good_ on you for being such an involved and loving dad)… but I just have to throw down some comment for the other view. I think kids need total autonomy as soon as they show a preference, where clothes are concerned. And the more embarassing to parents, the better! There’s nothing like the sight of perfectly turned out designer kids to make _my_ skin crawl. Again, just me offering a totally ‘other’ point of view. And if you think for a _second_ that my remarks might be misinterpreted as criticism of you, please don’t post them. Those kids are just unspeakably adorable? And that pose? I don’t think I have such good fashion instincts! i’m very excited about your foray into sartoritot (can i start that new phrase?) and cookie mag. i had no problem believing that the poses are the childrens’ own, as my own 3-yr old poses every time he see a camera with no prodding or stage direction. i love seeing the outfits that he puts together on his own, but am so sad that he will no longer allow me to dress him in anything with buttons! children are a wonderful fashion inspiration, as well as a sometimes much needed reminder not to take it all so seriously. when i was younger i considered any outfit i put together a sucess if it could make me laugh. now that i have a more respectable job and am older, it’s harder to get away with that. congratulations on two winning little girls. i have always wondered: how do you manage to travel so much and stay connected with your children? it seems like that would be very hard to be pulled in two directions. hopefully they get to travel with you sometimes! kudos. How many ways are we supposed to love you Sartorialist? !Thanks for making my day yet again!! Sartorialist, you have a good eye and a good heart. I love how your blog is not just about clothes, but also about life and the appreciation of individuals, from your kids, to your dad, to that person there walking down the street… Thanks for this post! i love the joyful exhuberance of isabel, and claudia’s coy charm. beautiful, beautiful children. out of all of your wonderful and exciting creations, these two are by far the best. thanks for giving us a peek. is it just me, or is the sart slowing taking over the (fashion) world? PS: we’re expecting a fashion line inspired by all the looks you’ve seen on the street soon. being a stay at home mom or dad is the greatest thing you can do for your children, if you have the luxury of doing so. kuddos. i hope that your travels don’t keep you away from them too much. your girls are adorable!! gorgeous pics!! I heard about this magazine, it quite new isnt it?? not sure if they stock it here in Australia…bravo for being a stay at home dad, it is a challenge but so rewarding! The second to last photograph on that website is so incredibly beautiful. I honestly have no words. Just wow. I’m glad that’s going to be shared with lots of others. Beyond striking. Aww. Goodness. These girls are dressed better than I am right now. Isn’t it a blessing to see kids that happy? God bless them. Anyway, I hope your pictures focus on kids’ personalities instead of what’s trendy/stylish for the moment. An outfit a child picks out for themselves is so much more fun for me than something their parents pick for them. awww Mr. Sartorialist your girls are so cute…I’m a sahm mom of 4 and my daughter is really into dressing herself, the other day I tried to help her pick her outfit for school and I picked a pair of gauchos and she told me “mom I don’t like this style” I’m like what do you know about style…but they are so intune to their surroundings they are very brilliant…she amazes me everyday with her fashion sense and it seems so effortless for her…wish it was the same for me :)…keep doing what you do, your brighten my day every single day! I’ll bet that you love Milk Magazine as much as I do ;) All the tiny sartorialists! Sart, I LOVE this new venture of yours. The photos are so beautiful and your passion for it is infectious. I work at an elementary school and can tell you that the kids who have parents visit them during lunch and play with them on the playground make such a huge impact, not only on their own kids, but those children around them. My mother has been shooting the kids at school for two years now and they are definitely natural posers. To see their personal style develop at 6 and 7 years old is more than a treat to witness. One girl, Cassey, wears her red cowGIRL boots (she made certain to correct me that they are not cowboy boots when worn by a girl) with everything. And let me tell you, it works. Thank you for such a fabulous new contribution! Just went to the cookie site to see the full spread…… you really are a _star_ mon chere, and I see that, indeed, we are on the same page…. only, like my hero to the end, you show me once more how to bridge my extremist kant with a play on style that isn’t about the painful pin cushion. I salute you~! i´ve never seen such an expressive shot, pure joy, vitality, and innocence!!! i´m from argentina, and not speaking your language makes it difficult to express myself! here, we say something like this: fish’s daughters, little fishs are. sartorialist’s daughters, little sartorialists are. congratulations for your isabel and claudia. can´t help falling in love with them!!! you never cease to surprise me, Scott! seriously – who knew you were a stay at home dad. not me! those two girls are absolutely fabulous – i’m sure you think so as well. you’re awesome! keep up the good work! Fantastic news about your column at Cookie mag. Exactly what they needed. I love their magazine, but their fashion sections need a boost. I have always said that children have the most style of anyone! My nephew wore red cowboy boots with everything until they got too small. Auntie needs to buy a new pair! Nice work Sart. It always makes me so excited to log on to your site! Keep up the great work! I just have to say, these pictures are so beautiful. I am so impressed that you put your children first; a role many parents refuse to take. God bless you and your sweet little girls. They have a daddy that loves them, and 20 years from now, you’ll be remembered as the dad who took time to play with them at the park. I know my dad used to go puddle hopping with us and I will never forget those times and other events he made time for. Thanks again for the good work, not only in your blog, but in life as well. The cutest little people EVERRR. So adorable! The delight & self-posession of your girls is a treat to see. How wonderful – and apt – that they were the inspiration for the Sartorialist. Thank you. so happy to read that post. I just became a mother to our little girl which makes me appreciate your site even more. Thank you so much for llifting up my mood on daily basis. It actually kind of makes me sad to think of the unfortunate children who are born not ‘perfect’ and don’t ‘pull off’ style and fashion so well. Fashion is such a spice to life that sometimes we forget how lucky we are to even have that chance to experience it. But hey, during this wonderful journey, maybe sartorialist can sometimes show us how even the less fortunate might incorporate style as a force of good that makes us rethink it from being something superfluous to being something beautiful and life-affirming. Because, in the end, isn’t style…just a __________ to the life we’ve been given? Your daughters are lovely – and it seems 2 very different personalities. I’ve spent a lot of time in Europe and always loved how traditional the kids looked. I’d see them in the parks in their little leather mary janes, wool double breasted coats and flannel shorts and think that it was like something from another time – which it is. Now that I am a parent to an amazing 9 year old, I can give you a heads up and tell you that there is about a 3 year window of opportunity to get kids to wear what you want them to wear. Move quickly, because before you know it the bon point plaid jumper will be stuffed in the back of the closet forever. I didn’t know you were a dad! It’s easy to see your influence on them and vice versa- and I mean that in the good way. This blog has loads of pictures of lovely girls, but your two are the loveliest I’ve seen on here. And congratulations to you, too, for being a dad they can be right proud of- it’s truly touching that you chose to share this with us, so maybe in a way it’s Isabel and Claudia we have to thank for this amazing corner of cyberspace. These are beautiful, made me smile. “I can take on the world” and “I’ll wrap it around my finger”. Lucky, lucky girls. And congrats to the father. How we love you, Scott! My husband and I don’t plan on having children but we do adore them for all they bring to the world. Your photos exude such love and warmth. Thank you! 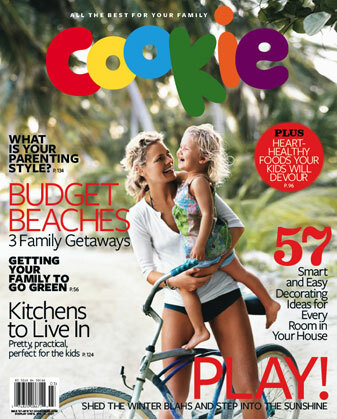 I agree, Cookie magazine is one of the best publications out there- everyone should pick it up, parent or not. Adorable children! Look at Claudia, she’s just perfect with the sun and the pose! Those kind of things make you the best ”look hunter” in the world. There’s a story and a meaning underneath every pictures. And getting kids on pictures is a awesome idea! I love the cookie pictures and comments. I love the second outfit especially. You have this special ability to capture a person’s spirit (just take a look at pic 1). Thanks. This is the only blog i visit consistently because it always brings a smile to my face. Thank you. That’s soo great, really. I can’t wait to see more. Thanks. I’ve always wanted to have kids but given that I’m a designer and the insane amount of hours I usually work, I put it out of my mind because I didn’t think you could do both- make money and make your kids happy. It’s nice to see you doing that and I realize that I just need to be more creative in how I conduct business now. Wish me luck. You’re amazing, I love you!!! Awww… anytime i see a kid grinning up at me in the supermarket lineup, or on my daily commute, i can’t help but grin. nice to see that you’ll be sharing these munchkins’ smiles with us! I can remember when Cookie was first coming out. “This seems cool! I’m going to have to check it out.” was my first imply to the magazine, although in the end, I always would pass it by for my usual periodical purchases of Vogue. Hearing this makes my skin prickle with delight. My visits to The Sartorialist are almost daily, if I’m not “away from keyboard”. I love what you do and “people-watching” to see how other people see the world through their eyes. This speaks very true for our youth. It’s refreshing, inspiring, and fun…just like the sartorialist itself. Bravo, Sart! I now not only applaud you for your photography talents, but for your parental priorities as well. Your daughter is going to be a model someday, with that kind of fierceness at such a young age! A D O R A B L E.
I have a long way to go until I have children, but this post made me really want to. Not just so I can become a personal stylist to one more person, but tecahing style is another way a parent can give to a child. I just wish my parents didn’t make me have to figure everything out the hard way. This is arguably my favourite post from you. Your kids are gorgeous and are great fashionistas too! From the stay-at-home mom who watches The Backyardigans everyday, great job! I love your blog but have never posted a comment. I had no idea you were a father and I love that you are doing this as I just had my 3rd baby. It’s so fun to see happy kids looking adorable and you are doing a fantastic job. Keep it up! ur daughter has my name (claudia) luv it! just wondering but are there no ads on your page by choice (if so i tip my hat to you, not that makin the cheddar is a bad thing) or just because there are no offers? Absolutely, Absolutely amazing and adorable. Especially the pic with the cableknit cardigan and red tennis shoes. haha, your daughter was just like me at that age…poses and all! Claudia’s pose is beyond cute – and not a “pose”, as such, because it looks so natural! Both of your girls are adorable indeed!. Love Claudia’s pose. my favorite post. EVER. your daughter ‘s radiance just shines! Probably you won’t get to read my comment after all the comments you get daily, but I just wanted to say thank you for your words. Your work speaks by itself, but this post was very refreshing to me. It gave me the idea that what we really want can be accomplish if we only put our passion on it. It was very important to me to discover the way you see the world and how your project began, maybe because now I’m on a stand-by situation trying to make my own project about fashion. You opened up my eyes and gave me the strength to keep working for my dreams. Your photos at Cookie are amazing! Some of the best children photos I have ever seen, up there with Arhtur Elgort’s photos of his children! And your daughters are really taking after their dad’s taste! Plus they’re so adorable! 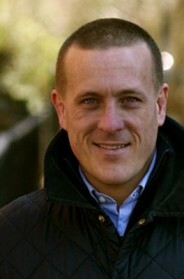 Congratulations once again Scott Schuman!!! Isabel and Claudia are wonderful! You’re in all the right places at the right time…I’m waiting for you to get a page in Gourmet…now wouldn’t THAT be something….Sartorial Chefs. this is superb. we love the way kids dress here, but most people don’t allow us (understandably) to let us photograph them just on the street in london. am glad your eye is capturing style below the knees…. I love that little girl, check her pose out…. I’m so glad I found you. I subscribe to Cookie and just received the magazine in the mail but have not opened it. That will be the first thing I do after I write this. I love your site and look forward to fashion suggestion to dress my baby, Madamoiselle. Awesome. You must be having the time of your life. Claudia looks like a charmer! Oh my god, this is so cute, I can’t even stand it. The smile on her face is brightens everything up. The red of her outfit, the winter light. Thats 1 fearce baby! Work it girly! Hey there, merely become aware of your current blog site through Google, and located it’s mostly absolutely insightful. I am going to beware of brussels. I am happy in the event you move forward this specific later on. Many people will be achieved positive results from the creating.. ispanyolca tercüme Cheers!